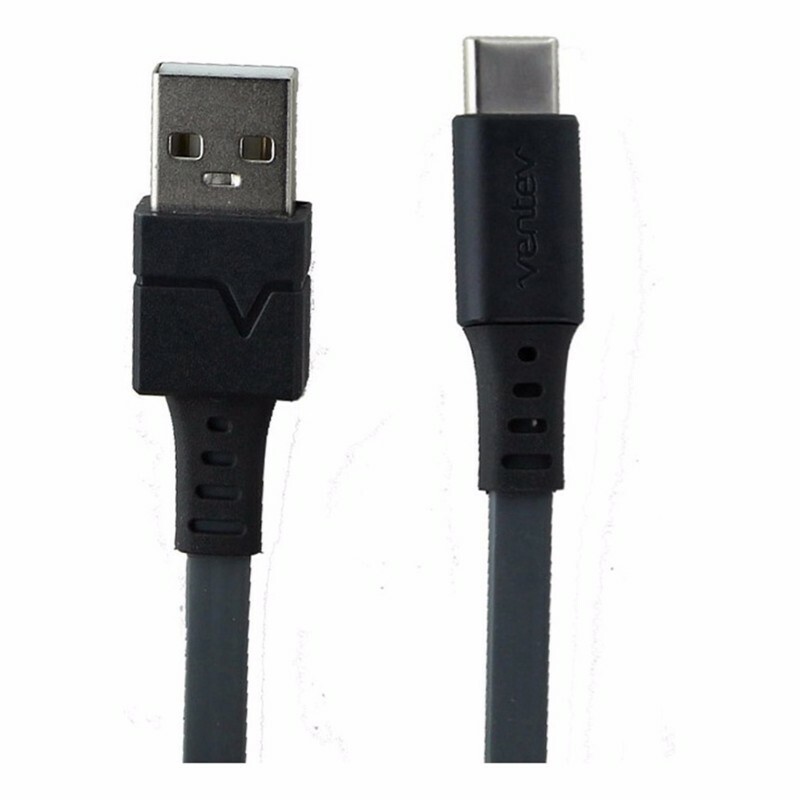 Ventev products, ChargeSync 3.3Ft Flat Tangle-Free USB-C (USB Type C 2.0) Cable. All gray finish. Convenient charging and data sync. 3.3 Foot in length. 3A rapid charge compatibility.